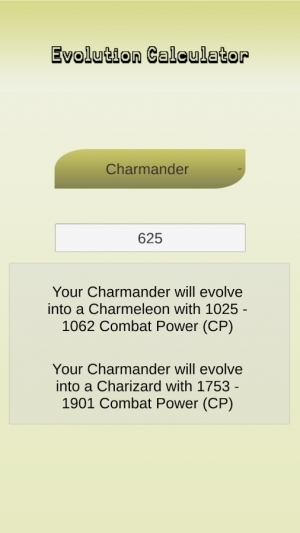 Lets get an incredible Pokedex! 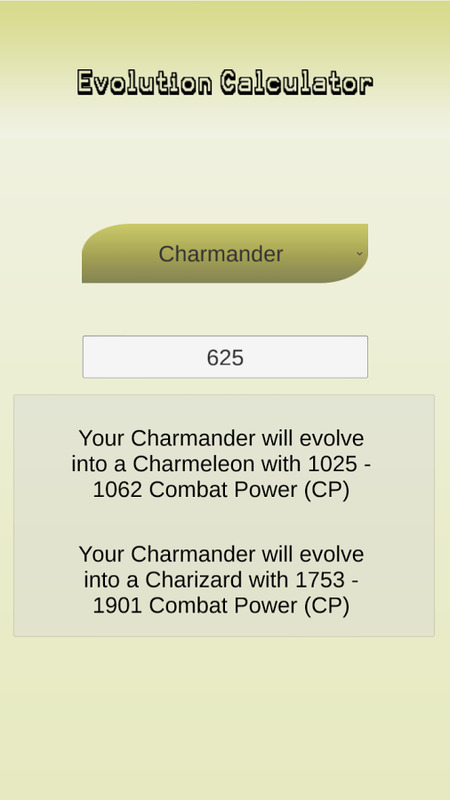 Lets become the best Pokemon trainer! 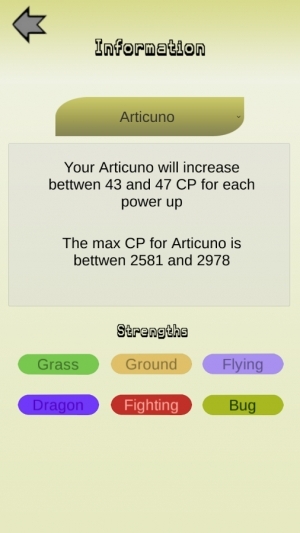 You can get the best Pokemon with the maximum CP due to the available tools in this app. 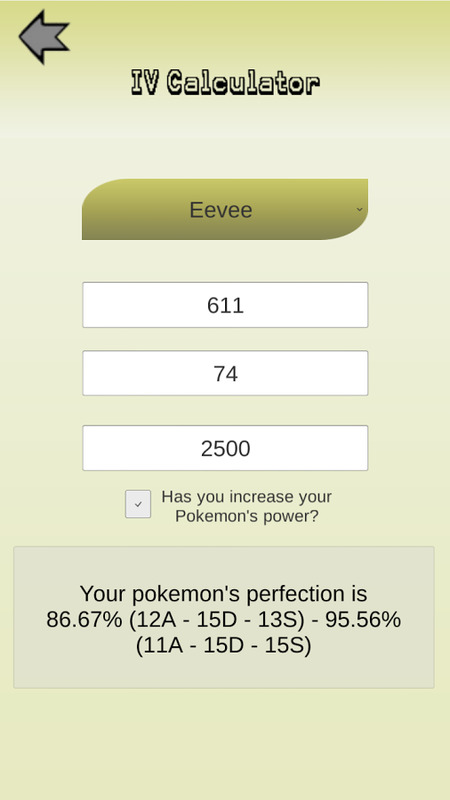 You can calculate the percentage of your Pokemon, just write the HP and the CP and this app will calculate it. 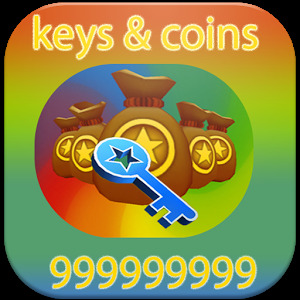 This is a powerful tool to get the best Pokemon and transfer the rest to obtain more candies. You can calculate the CP that your Pokemon will have in the next evolutions. 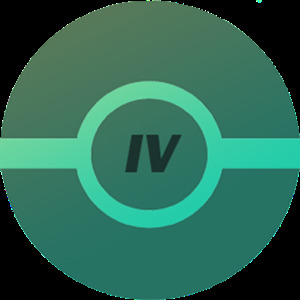 You will know all the strengths and weaknesses of your Pokemon. In addition, you will know the minimum and maximum CP level your Pokemon can achieve. 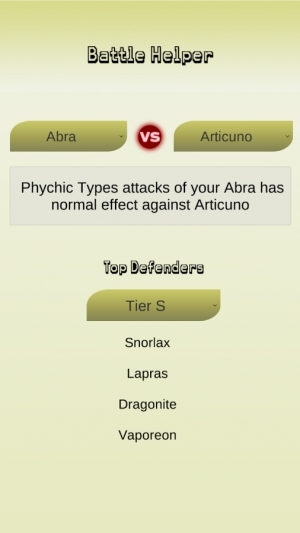 Match up two Pokemon and find out the types of attacks that you should use to win the battle. This is the best tool to win your battles in the gym. Lets optimise our lucky egg to achieve the greatest experience. 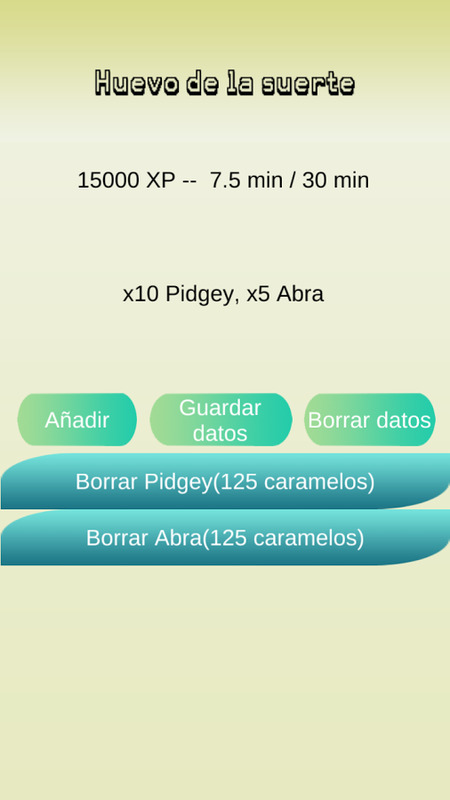 Introduce your Pokemon and the number of candies you have to know the experience you will achieve. 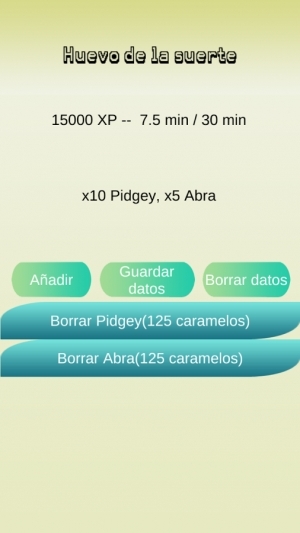 Also, you will be able to save your list and update it as you capture new pokemons. The list with the best Pokemons of each Tier (S, A, B, C.). 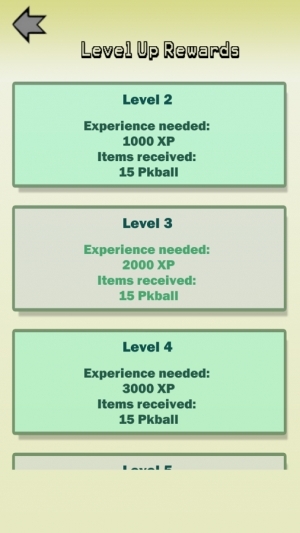 Look the rewards of each level. 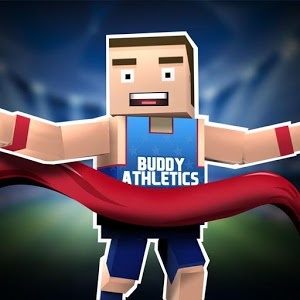 Report a cheater player in the web of Niantic. 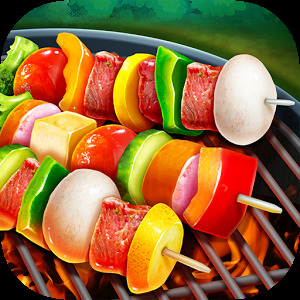 This is not an official app of Pokemon Go. It is not affiliated with Pokemon, Niantic or Nitendo. This application doesn't use the Pokemon Go API.